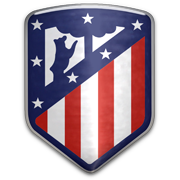 Sunday’s football game at Estadio Municipal Jose Zorilla pits together Real Valladolid and Getafe, the two teams with entirely different ambitions in the season finale. Real Valladolid aim to bounce back from a 1-0 loss to Leganes, whilst Getafe want to build on a hard-fought win over Athletic Club. La Pucela’s main goal is to secure the La Liga survival, but they will have to be at their sharpest in the remainder of the season if they are to avoid the drop to Segunda Division. Los Azulones, on the other hand, are eyeing a place in the Champions League and considering that both sides will go for a win in Sunday’s clash, we believe that there is a big value in betting on both teams to score. 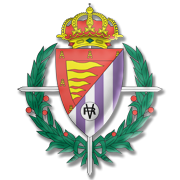 In their last meeting in a competitive match (Copa del Rey) Real Valladolid and Getafe played out a 1-1 draw. Jordi Masip is yet another La Masia product. Masip began his youth career at Mercantil, but in 2004 he joined the famous Barcelona football academy. The 180-cm-tall goalkeeper was struggling to establish himself as a first-team regular in Barcelona at senior level, but he played for Barca B in Segunda Division from 2008 to 2014. After making 79 appearances for Barcelona B, Jordi Masip finally made his senior debut for the Catalan giants on December 16, 2014 in a 8-1 win over Huesca. The two teams faced in Copa del Rey and it has to be noted that Masip made his La Liga debut for Barca in a 2-2 draw with Deportivo La Coruna in May, 2014. In 2017 the Spanish shot-stopper born in Sabadell signed a three-year deal with Real Valladolid. Masip quickly established himself as a first-team regular at La Pucela and you should know that he managed to keep 11 clean sheets in 42 appearances for the club in the 2017/2018 Segunda Division campaign.